Another chapter of the James Bond franchise is closing soon. Barring some last minute change, the still-to-be-titled Bond 25 will mark Daniel Craig’s last mission as 007, so it goes without saying that this movie will need to stand out and wrap things up with a bang. To improve the likelihood of that happening, Killing Eve creator Phoebe Waller-Bridge has been recruited to polish Bond 25’s script. Last September, following the departure of director Danny Boyle and writer John Hodge from Bond 25, longtime James Bond franchise contributors Neal Purvis and Robert Wade were brought in to rework the upcoming movie’s script. However, when making a major motion picture, sometimes it becomes necessary for another writer or several to join the proceedings. Scott Z. Burns hopped aboard in February to work on the script, and now Phoebe Waller-Bridge is picking up where he left off. According to The Observer, Daniel Craig specifically requested for Phoebe Waller-Bridge to bring “her wit and quirkiness” to the Bond 25 screenplay. 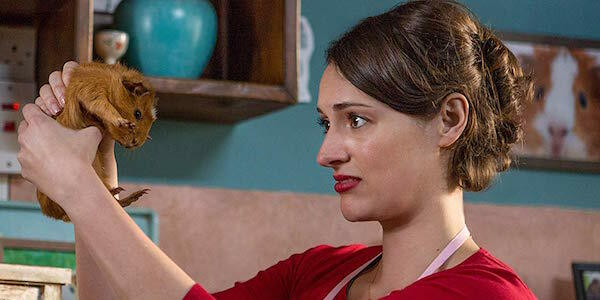 Craig is reportedly a fan of the other TV series she created, Fleabag (which just concluded its second and final season in the U.K.), and felt that she could do a good job with livening up Bond 25. Phoebe Waller-Bridge has recently been in New York City performing a stage version of Fleabag, and while in the Big Apple, she met with Daniel Craig about polishing the Bond 25 script to add more humor and the kind of “offbeat style of writing” she’s known for. So while the story as a whole doesn’t sound like it’ll be overhauled, tonally Waller-Bridge will be making some adjustments. This marks the second major cinematic franchise that Phoebe Waller-Bridge gets to contribute to. Last year, she appeared as L3-37, Lando Calrissian’s droid partner in Solo: A Star Wars Story. Waller-Bridge’s other notable credits include The Iron Lady, Goodbye Christoper Robin, Broadchurch and Crashing. Phoebe-Waller Bridge working on Bond 25 is the latest step in this movie’s long journey to rolling cameras, but assuming the changes Phoebe Waller-Bridge are met with approval, then production should finally begin in a few weeks. Cary Fukanaga of True Detective and Maniac fame was brought in to take over as director from Danny Boyle, who exited the project due to creative differences. Aside from Daniel Craig reprising James Bond for the fifth and final time, Bond 25 will also see the return of Lea Seydoux’s Madeleine Swann, Ben Whishaw’s Q, Naomie Harris’ Eve Moneypenney and Ralph Fiennes’ Garteth Mallory, who succeeded Judi Dench’s character as M. No new characters have been announced yet, although Rami Malek is being eyed to play the villain. Originally set for release this November, Bond 25 was pushed back to February 2020 and is now scheduled to hit theaters on April 8, 2020. Stay tuned to CinemaBlend for more updates on its progress, and don’t forget to look through our 2019 release schedule to learn what’s headed to the silver screen a little sooner.